Talented and handsome, Benedict Samuel is an actor, writer, and director who is mainly known for his works for the series, Gotham as a role of Jervis Tetch (Mad Hatter). Likewise, he is one of the leading actors of the series, Secret City, and movie, Ellipsis. 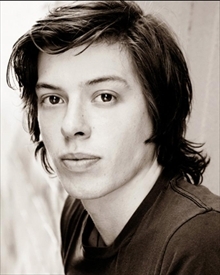 Actor, Benedict Samuel was born on April 15, 1988, in Sydney, Australia to a small family which includes his father, Clifford, mother, Maree, sister, Bridget, and actor brother, Xavier Samuel. The youngest of three siblings, Benedict first completed his education from the National Institute of Dramatic Art (NIDA). At that time, he began writing and directing short films before making an appearance as an actor. Following his passion, later he appeared in the short film named Kiss as a role of Sean in 2011. Likewise, at the same year, he also played for the television series Paper Giants: The Birth of Cleo as Michael. Currently, Benedict has appeared in the Film, Ellipsis and is still playing for the series Secret City. Likewise, he is also working for his upcoming seasons, Gotham. Aged 29 Australian actor, Benedict is currently living a single life. There has not been any news or rumors about his dating history and neither he has involved in any love affairs. However, Benedict is often seen with several women in different events but he has not revealed any information about his relationship. It is hard to believe that the handsome actor, is not in a relationship as there are many women who are crazy for him. He might have loved a woman during his past days but up to date, it is kept secret. Diligent Benedict is one of the noticeable actors of the current time. Till the date, he has made an appearance in multiple television series, movies and short films, from where he has collected thousands of money. As of now, his net worth is under review but according to several sources, it is believed at around six figures.